Canterbury’s Flat Peak Cap offers a twist on the classic cap and adds a touch of style whether you’re cheering on the Warriors or out and about. Constructed from highly breathable poly-cotton drill, this cap provides enhanced comfort and fit no matter how tough your workout is. Canterbury’s Flat Peak Cap is made from high quality poly-cotton drill, ensuring you enjoy breathability while staying drier and cooler during training sessions. The flat-peak design helps you stand out from the crowd by creating a stylish look with a twist on the classic curved bills. Our Flat Peak Cap features a contemporary 5-panel design, delivering a touch of style and ensuring the cap is suitable for both everyday casual wear and training. With an easily adjustable snapback closure and embroidered team and sponsor logos, you’ll enjoy a secure, comfortable fit while showcasing your allegiance to New Zealand’s top rugby team. 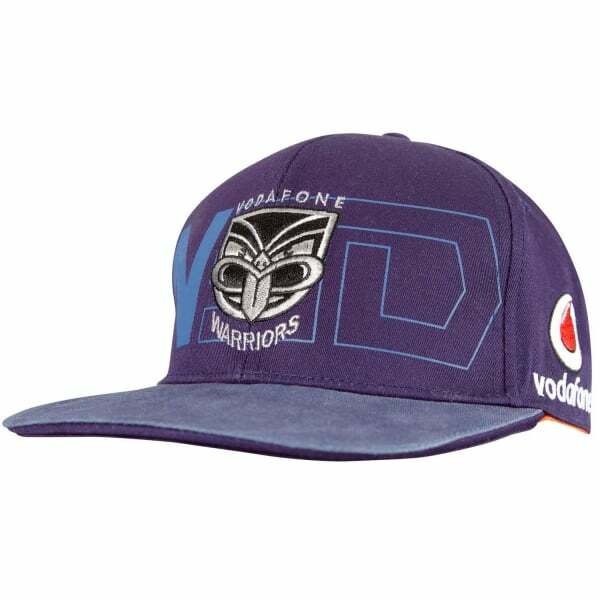 Demonstrate your loyalty to the Warriors in this stylish flat peak cap, which is sure to become a quick favourite.